3) the aerodynamic effects of a spinning tire. While 17% sounds significant, what can be changed about a tire is going to only a very smaller amount - a 20% improvement (which would be huge!!!) would only result in a 3.4% change - hardly measurable using the usual technique of recording the odometer reading and the amount of fuel pumped in. 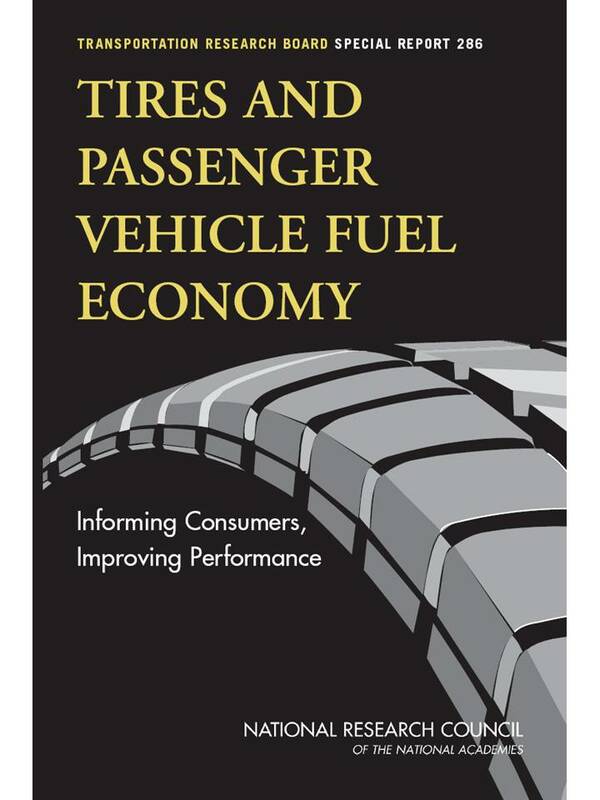 Please note: After I wrote the above, I ran across this report on Tires and Fuel Economy. The chart above is from that study and it seems to confirm my memory. For the purposes of this discussion, I am going to ignore the numbered issues listed above - and concentrate solely on rolling resistance. 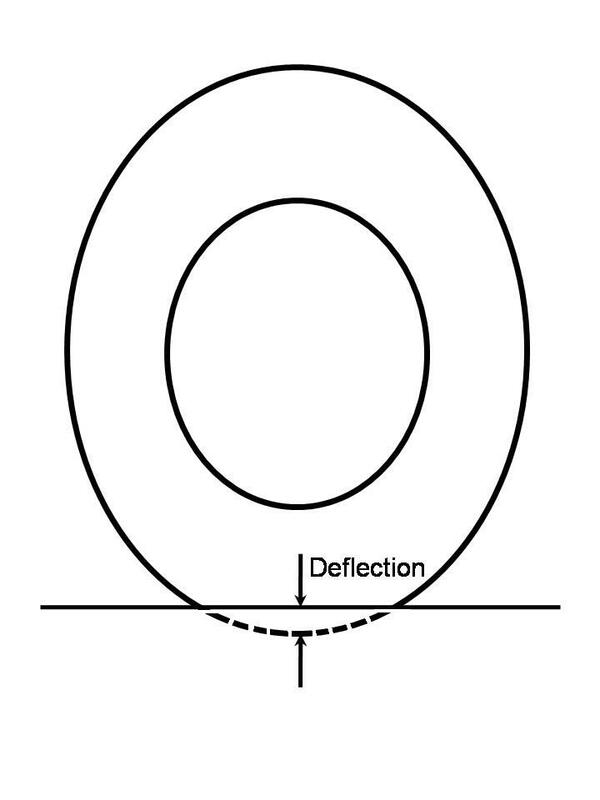 Most rolling resistance is caused by internal friction of the rubber as the rubber moves through the footprint area. You can measure this in the form of heat generation, but that is difficult to accurately quantify this. For this reason, special test fixtures are used - a Dynamometer, similar to the ones used during the EPA fuel economy test - that measure the energy consumed as a tire rotates. There are several methods of testing rolling resistance. All these tests yield similar results - there isn't much change in relative values between tires regardless of the method or test equipment - and certainly no changes in rank order. But, they yield different numerical results! So until there is a common, standardized test method, there will not be any rolling resistance values published by the tire manufacturers. 1)	The more the tire deflects, the more the rolling resistance. This is more or less a "load vs inflation pressure" kind of thing. It ought to be obvious that as you add more inflation pressure, its effect on the deflection decreases - meaning that adding 1 psi over the placard inflation pressure has much more effect than the effect between 5 psi to 6 psi over the placard pressure. 2)	The more the material in a tire - especially in the tread area - the more the rolling resistance. This means that new tires are going to have more rolling resistance than otherwise identical, but worn out, tires. 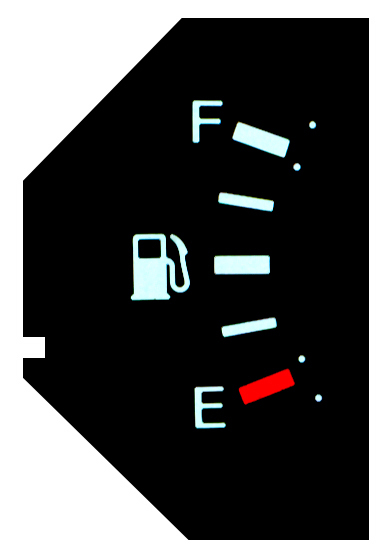 So when you buy a new set of tires, you should expect a loss in fuel economy. This also means that all terrain tires, winter tires, mud and snow tires, and off road tires are going to have more rolling resistance than a comparable all season tire. This also means that higher speed rated tires - with their additional cap plies - are also going to have higher rolling resistance. 3)	The tread compound - and the amount of internal resistance it has to movement - is going to have an effect on rolling resistance. There are three properties that can be traded off with one another - Tread wear, Traction, and Rolling Resistance. You can maximize one of these properties, but it has to come at the sacrifice of at least one of the others. This means that tires with good traction compounds have either sacrificed treadwear or rolling resistance (or both). This also means that tires with high UTQG treadwear ratings have sacrificed traction or rolling resistance. 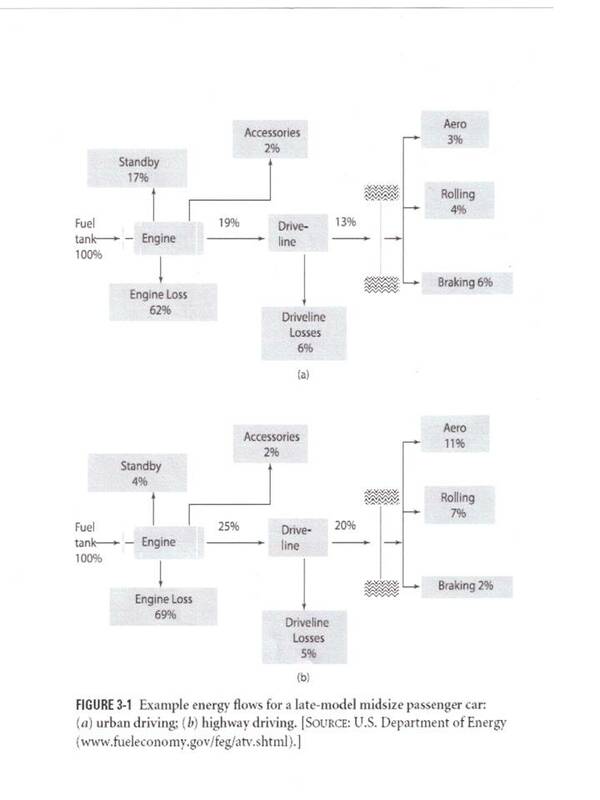 Vehicle manufacturers are keenly aware of this "triangle" effect, but since the EPA fuel economy number pasted in the window doesn't, it is common for vehicle manufacturers to optimize towards low RR values, with an aim towards moderate traction, - and the result is poor treadwear. However, sometimes poor traction also occurs. Poor traction and poor treadwear are common reasons cited as "proof" that OE tires are "cheap" and "poor quality" - and obvious I don't share that opinion. Let me go a little deeper into tread compound. Rubber is not naturally black in color. The color you see comes from carbon black. Carbon black is quite simply the element "Carbon" - like coal, but without the impurities. This is the primary reinforcing agent in rubber and aside from the rubber itself, is the largest component in the mix. Since rubber is a hydrocarbon, carbon black is ideally suited as a point of chemical connection. Carbon black has been around for several hundred years, and its use is so widespread (more than just tires), that there are many, many types. In particular, the structure of a carbon black affects where it is suitable for. For ply skim, fine grained is best, but for tread wear, large grained and highly structured helps. However, this comes at the cost of internal friction. Silica (Yes, that's right - sand!) is sometimes partially substituted for carbon black. But the silica used is highly engineered and would not be familiar to you beach goers. But using silica in a tread rubber can get better rolling resistance without sacrificing treadwear and / or traction (with other compensating changes to the compound.) However, these same techniques can be applied to generate even higher traction and better treadwear. Bottomline: If you are shopping for a tire with good rolling resistance so you get good fuel economy, I think you are wasting your time. The issue ought to be about saving money - and a tire with good treadwear will be a better value - you will buy fewer of them. Further - the easiest and most effective way to get good rolling resistance is to use higher inflation pressures - along with frequent inflation checks to assure that the pressure doesn't drop much over time. I recommend 3 to 5 psi above the placard specification. Anything more than that starts to compromise traction - with decreasing effects on fuel economy - and in my opinion this compromises safety too much. A later addition: Apparently, the above paragraph has been interpreted to mean that I am advocating high pressures in tires. Let me be clear - I AM NOT!! I prefer a car that is crisp in steering. I am also willing to put up with the increase in ride harshness. and it does help fuel economy. Plus, one of the lessons learned from the Ford / Firestone situation in August of 2000 was that car manufacturers could have done a better job of selecting tire sizes and inflation pressures - and in many instances, they have stepped up and increased tire sizes. (A thank you for those folks who did this!) So there should be emphasis placed on the vehicle placard.